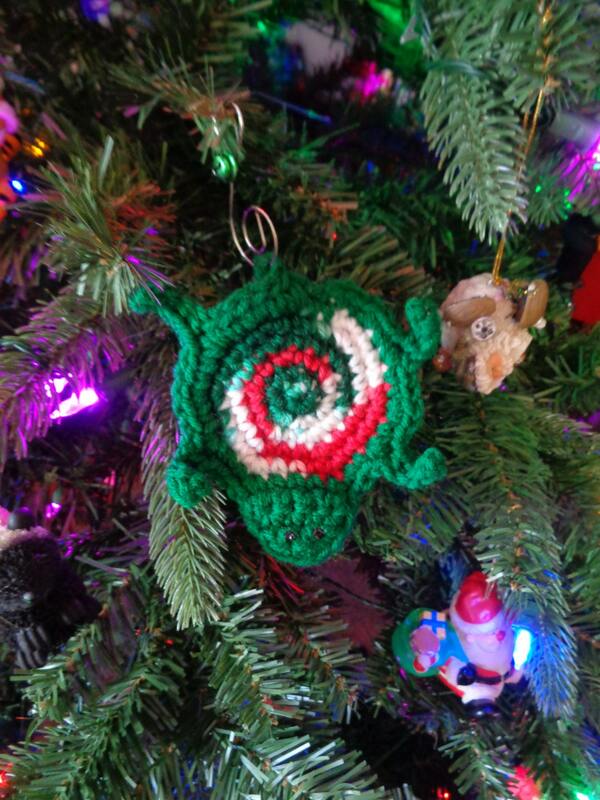 This little turtle Christmas ornaments wants to hang on your Christmas tree. He has his own story. His name is Tippy Toe Turtle. He really wants to make it to the top of your Christmas tree, but since he's really made for a toddler, he can't make it there. But if your toddler stands on his tippy toes and reaches, you can take a picture. Then next year take another picture and see how much higher up he is. Eventually he'll get to the top. This little turtle measures approximately 4 inches across, not including his legs and approximately 5 1/2 inches from his head to his tail. He has black fabric paint eyes. He is not meant to be a toy. His tail makes a wonderful loop to hang him on the tree. You will also receive a laminated copy of his story with your purchase. The last picture shows my first grandson hanging his on his tree his first year. The 2nd and 3rd picture are him this year 2016. He's 4 now. The 4th picture is his 2 year old brother hanging his today. Your turtle is made to order. It should be mailed within a day or two of purchasing. He will be Christmas colors on the inside and green on the outside. If you prefer a different colored turtle, please let me know. I'm happy to make you a custom order. I absolutely love these! Better than the picture. They are well made & I can use them all Winter. Thanks again for making them! !